Due to industry demand, Khronos is initiating the development of a standard to enable VR applications to easily connect to VR hardware. If your company would value a voice in the direction of this standard, you are encouraged to join the Khronos Group and participate with other industry leaders in its design! Vulkan is a new generation graphics and compute API that provides high-efficiency, cross-platform access to modern GPUs used in a wide variety of devices from PCs and consoles to mobile phones and embedded platforms. Khronos launched the Vulkan 1.0 specification on February 16th, 2016 and Khronos members released Vulkan drivers and SDKs on the same day. Everything you need to come up to speed on Vulkan and to forge ahead and explore whether Vulkan is right for your engine or application is now available on the official Vulkan homepage. Neural network technology has seen recent explosive progress in solving pattern matching tasks in computer vision such as object recognition, face identification, image search, image to text, and is also playing a key part in enabling driver assistance and autonomous driving systems. Convolutional Neural Networks (CNN) are computationally expensive, and so many companies are actively developing mobile and embedded processor architectures to accelerate neural net-based inferencing at high speed and low power. As a result of such rapid progress, the market for embedded neural net processing is in danger of fragmenting, creating barriers for developers seeking to configure and accelerate inferencing engines across multiple platforms. The "glTF" project aims to define a final stage OpenGL Transmission Format to enable rapid delivery and loading of 3D content by WebGL, OpenGL, and OpenGL ES APIs. glTF together with COLLADA comprise a standards-based content pipeline for rich 3D web and mobile applications. glTF Specification is a work-in-progress from the COLLADA Working Group; it is not an official Khronos-ratified specification yet. It is incomplete and subject to change. The draft specification and related converters and loaders are available on github. • SPIR 1.2 and SPIR 2.0 for OpenCL C programming, mapping onto LLVM IR. SPIR is a portable, non-source representation for devices programs. It enables application developers to avoid shipping kernel source and to manage the proliferation of de vices and drivers from multiple vendors. SPIR enables the consumption of code from third party compiler front-ends for alternative languages. SYCL (pronounced 'sickle') is a royalty-free, cross-platform abstraction layer that builds on the underlying concepts, portability and efficiency of OpenCL that enables code for heterogeneous processors to be written in a “single-source” style using completely standard C++. SYCL enables single source development where C++ template functions can contain both host and device code to construct complex algorithms that use OpenCL acceleration, and then re-use them throughout their source code on different types of data. 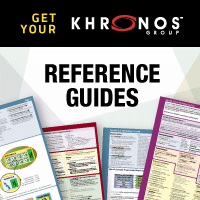 The Khronos Data Format Specification offers an open, royalty-free, machine-readable way to describe data layout that supports all common pixel formats and associated metadata. Computers must describe the collections of data that they work on. Current, proprietary solutions often complicate interactions between components and with end users. This specification reduces programmer effort, makes flexible implementations possible, is versioned and extensible, and simplifies unambiguous documentation and communication. The Khronos Safety Critical working group is working to develop open graphics and compute acceleration standards for markets that require system safety certification. The OpenGL® SC 1.0 specification defines a safety critical subset of OpenGL ES 1.0. The safety critical working group is now working to adapt more recent Khronos standards including OpenGL ES with programmable shaders, and the new generation Vulkan™ API for high-efficiency graphics and compute.